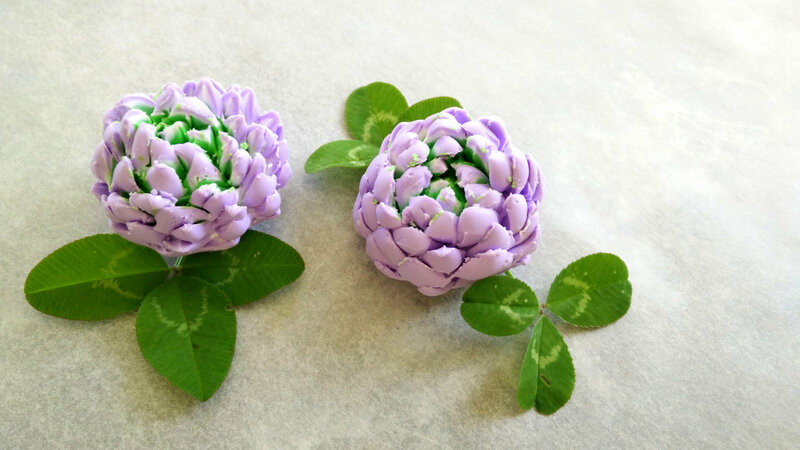 1: For one clover flower you will need a ball of white polymer clay, one in pastel purple and one in green. 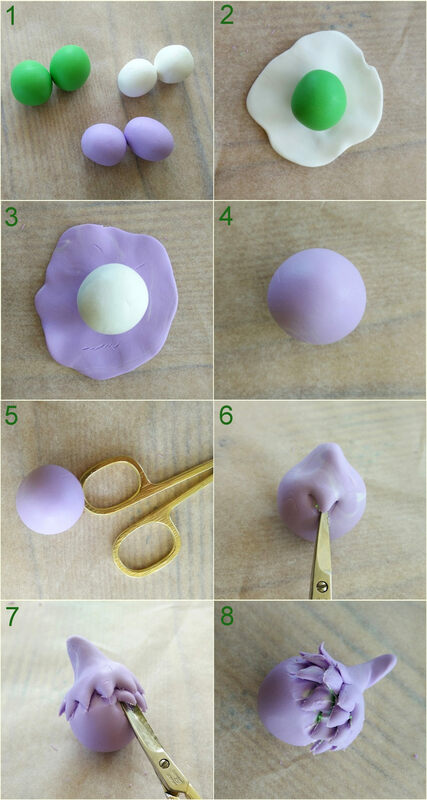 5 & 6: Find a pair of nail scissors and begin to carve the clay flower out of your ball. 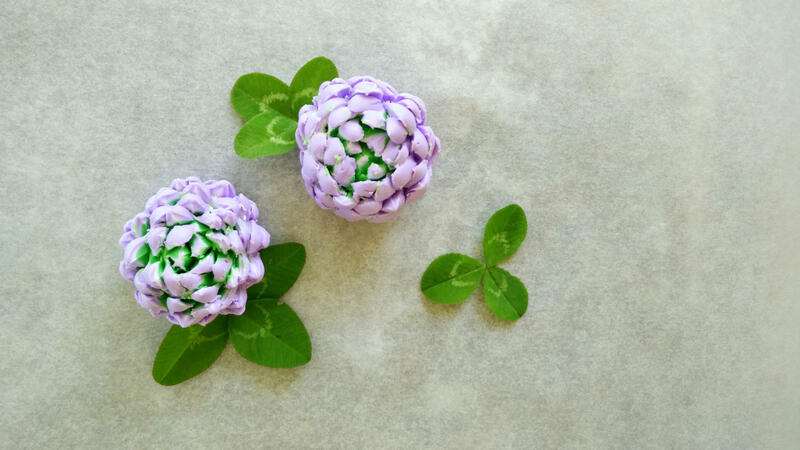 7 & 8: Continue all around till the end. 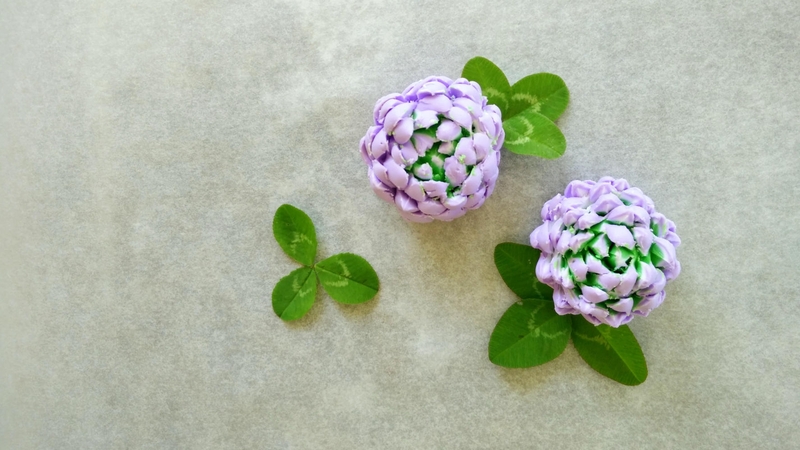 When you’re finished, cut off the stem.